Looking for private in-home or in-studio Harmonica lessons? Our Arlington Heights teachers are ready to get you started. Find your teacher today! Check out some of our most popular teachers near Arlington Heights, MA including Boston, Cambridge, Brookline, Somerville and Lexington. I took up harmonica when I started songwriting, about five years ago. Inspired by Bob Dylan, the Beatles, and other pop/rock acts, I incorporated diatonic harp playing into my original songs. I later picked up blues style playing, improvisation, and other techniques. I'm happy to share my skills and techniques with harmonica players of all skill levels. Get your harmonica ready to learn how to make music and your favorite songs. How to blow and draw correctly. Learn harmonica tab or note reading. You can expect me to listen to what you tell me, listen to how you play, and then give you information and activities to increase your understanding and develop your abilities. It could be anything from which end of the harmonica is up to advanced classical or jazz performance, or anything in between - blues harp, Neil Young, you name it. My focus is on you - helping you achieve your goals with the harmonica, whatever they may be. Whatever inspires you to pick up the harmonica, whoever you want to emulate, whatever style grabs you, I bring the background, deep knowledge, and teaching experience to enrich your understanding and grow your skills and ability to express yourself musically. I'm a harmonica specialist, known internationally as a player and teacher. I'm the author of the books Harmonica For Dummies and Blues Harmonica For Dummies. I can teach all styles, all levels of expertise and all types of harmonica. I had fun and learn something new. Very good teacher; he wrote the book on playing harmonica. Great teacher. Knows where I am at and knows where I need to go. 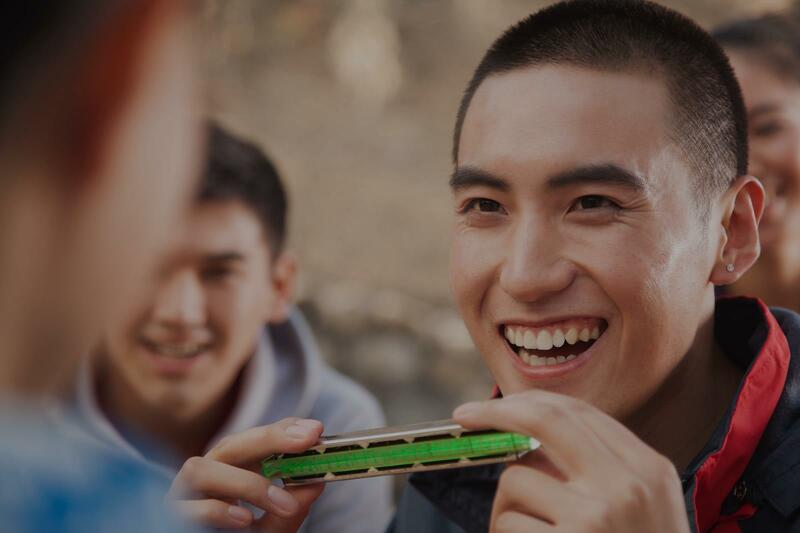 I've had a lifetime of experience teaching private lessons on the harmonica and have the skills it takes to help you through the process of learning to play in a fun, relaxed atmosphere. I've been a full time musician my entire adult life teaching and performing on stage, the studio and the classroom. "The Harmonica is my specialty as a professional performer and teacher. It's not my 2nd or 3rd instrument, but my primary one that I've spent a lifetime mastering. I've been teaching, performing and recording on the harmonica for over 30 years and I'm an expert on both the chromatic harmonica and the ten hole diatonic "Blues Harp". I work with absolute beginners to the most advanced professional level in a wide variety of styles. My lessons are tailored to suit your individual needs." is talents to movies, commercials, TV, radio, theater, instruction books and countless CD projects. His own albums have received rave reviews nationally and internationally. He’s worked with diverse artists ranging from jazz guitar wizard and composer Reynold Philipsek, to folk blues legend Papa John Kolstad to Nashville songwriter Tom Mason. With a reputation of musical flexibility, he became a sought after studio session player. As a respected music educator, he was on staff at Mpls Community and Technical College, McNally Smith College of Music, The West Bank School of Music and The Homestead School of Folk Music. In New York City, he attended Parsons/New School Jazz and Contemporary Music Program and studied with classical harmonica virtuoso Robert Bonfiglio. Clint’s work has earned him a place in the Encyclopedia of the Harmonica. Clint is patient and gives good pointers. He’s been keeping everything upbeat and interesting. I will be continuing with him. Just finished my first lesson with Clint. I really enjoyed his enthusiasm and ability to teach via Skype. I was a little hesitant about learning via Skype, but I’m glad that we connected and looking forward to getting better with the harp! Great teacher and and even cooler person. Making steady progress on my learning curve and having fun in the bargain. I provide a clear, concise, proven path to success at playing the harmonica. I focus on the most important aspects at mastering the instrument. We also have fun as well! Unlike other teachers that teach multiple instruments and add harmonica to their list, Tim sole focus and expertise is the harmonica! Tim began playing harmonica at the age of thirteen. In addition to the guidance and nurturing he received from his musical family, Tim studied with harmonica greats Cary Bell and Jerry Portnoy. He also completed courses in music while earning his bachelor’s degree with honors from Kent State University in Ohio. In addition to harmonica, Tim is a fine singer, songwriter and guitarist. An expert blues player, he is also accomplished in the folk, rock and country genres. Before moving to Nashville in 2015, Tim was regarded as one of the finest harmonica players in New England. I've been playing for a while without any instruction and Tim helped me clean up some bad habits in the very first lesson. Tim's method for teaching harmonica is enjoyable and logical. I can honestly say that my tone, technique and overall facility on the harp have improved so much in just a few weeks of working with him (after a year or so of trying to figure things out on my own via the internet). He knows just how to convey in words -- in a way that you can understand and implement -- exactly what you need to be doing with your mouth, lungs, etc. to help you improve your sound. As such his instruction can provide a great foundation for playing in any genre (blues, pop, country etc.). Also he's super laid back so that's another plus. I always look forward to my lessons with Tim. He's a great guy and a tremendous instructor. His sense of humor keeps the hour fun and engaging. That is not to say that he is not constantly challenging you. But he does it in a way all great teachers do; he communicates efficiently and effectively. Hence, it's pretty easy, if you put in the time, to make incredible strides with your harp playing. Highly recommend signing up! I play diatonic primarily blues harmonica but can teach how to play many styles of music, folk, rock, blues, soul, country etc I can teach different techniques such as tongue blocking , slapping to get rhythmic emphasis, and how to get clear correct bends on the harmonica so your lines flow. I show how to improvise around the chord progression both how to create a good melody line and how to phrase your solo rhythmically and melodically. I also play guitar, piano and bass so can easily teach how to integrate the harmonica into the song. I also offer 30 to 45 minutes online lessons. Whether you want to learn how to become the next Bob Dylan or wail on some blues riffs, I've got some easy practice tips that can get you there in no time. Can't find a teacher in Arlington Heights, MA?